With Halloween almost ready to knock our doors, I am pretty sure you all are busy with the preparations. 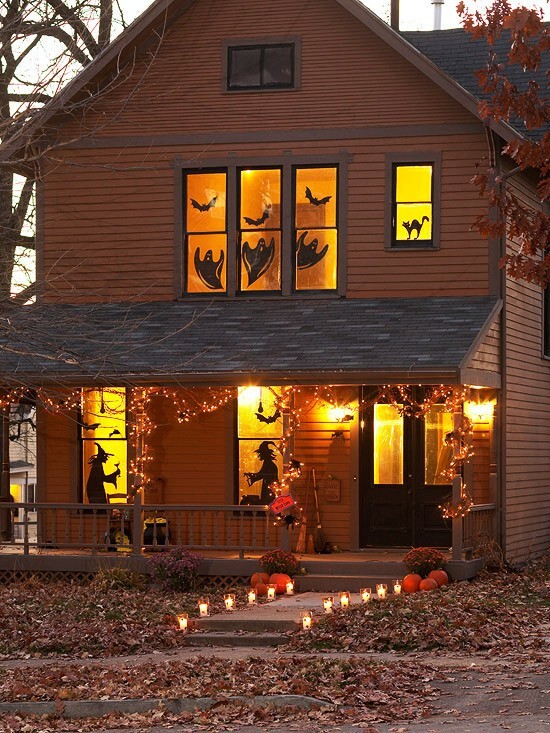 Did you read our article on How to Decorate Your Home For Halloween prove helpful for all those of you who are the planning the Halloween party at your place? For today, we chose the post related to Halloween, but then indeed the topic is different. This time we have some of the sure-short Halloween home decoration DIYs for all those who are tight on budget or those who prefer creating decorative stuff over buying from the market. Little but noticeable, these creepy cobweb coasters will make the cups look creepy when sitting on these. 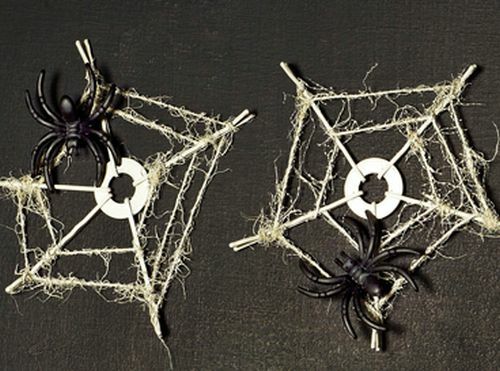 Taking five Bobby pins onto a 3/8-inch flat metal washer and then wrapping twine around and thread through each Bobby pin you can create the spooky coasters. In the end you can spray-paint everything white. 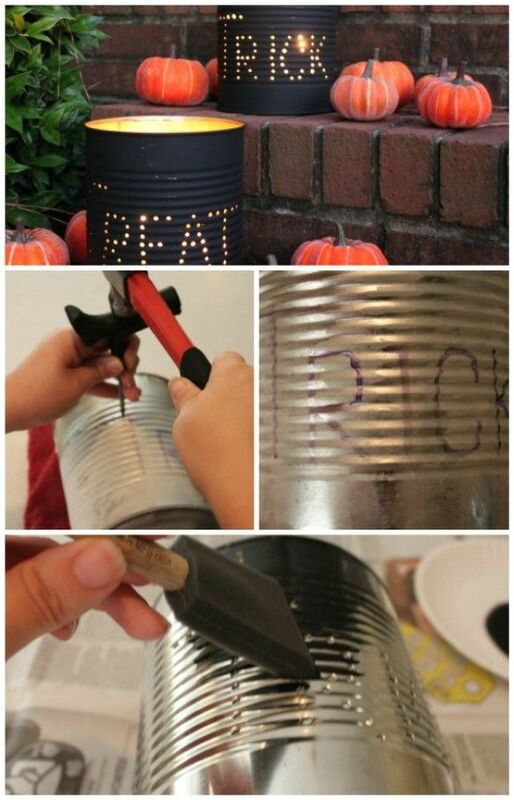 Spotted at Jollymom, the tutorial shows how to create a nice looking tin can luminaries. Once you have created these, you can place them along your walkway or door front. 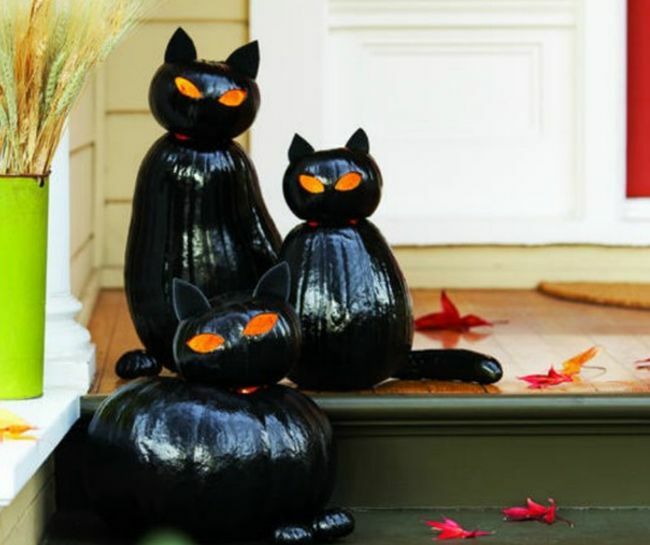 You can create spooky glossy black cats to place on your doors. Take few pumpkins in feline shapes and create long or pear-shaped to the body, small and round for the face. 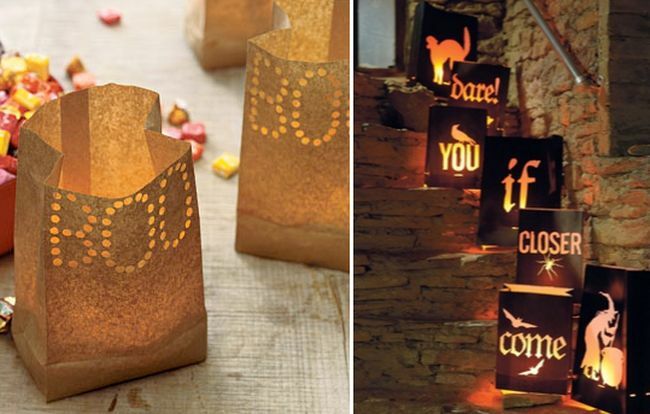 Here are DIY Halloween luminaries and lights brew up the biggest impact on your ghostly decor and they make for easy DIY Halloween crafts from recycled materials like paper bags, tin cans, old mason jars or milk jugs. You all can go for these stenciled pumpkins that are actually getting quite popular. You can get stencils in any design you want and creating stenciled pumpkins is really easy and really creative. 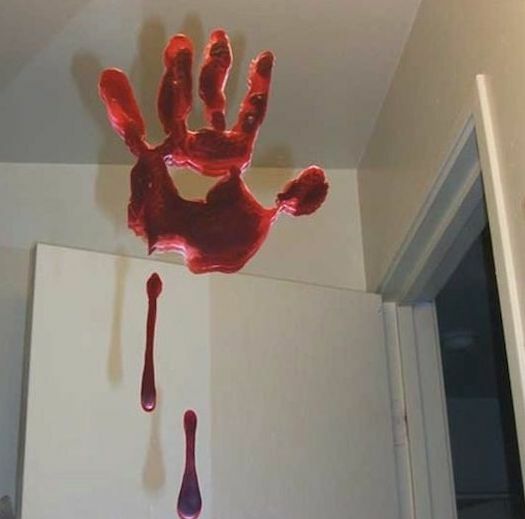 Nice DIY Bloody handprint window clings that can be created easily and hung to add to the spookiness. 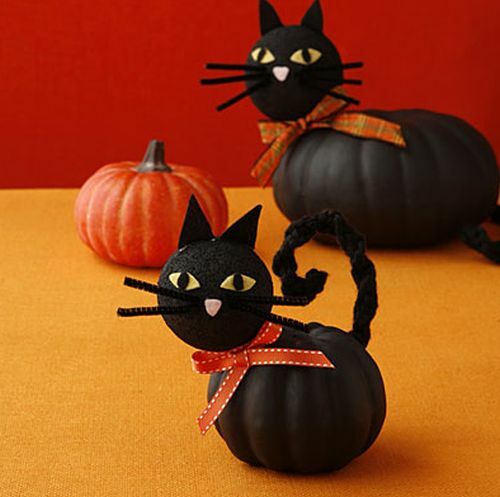 Make Halloween black cat decorations that will surely last forever. These are made from Funkins in damn easy way. Monster face archway for the entrance is ideally fit for Halloween. 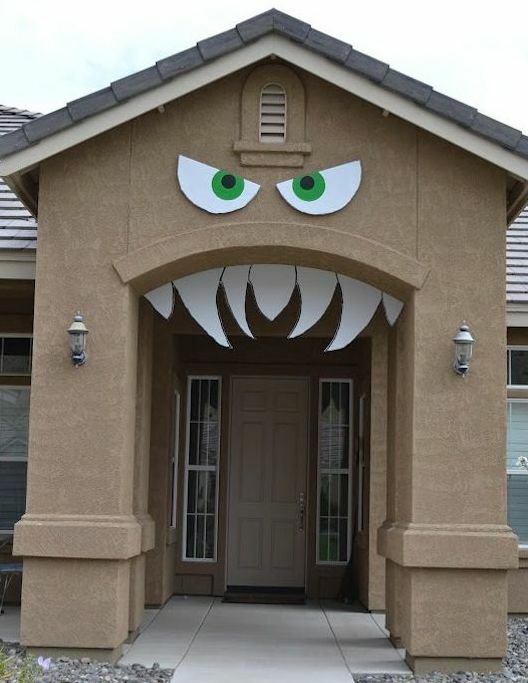 With little supplies you can create this awesome monster face for your archway. 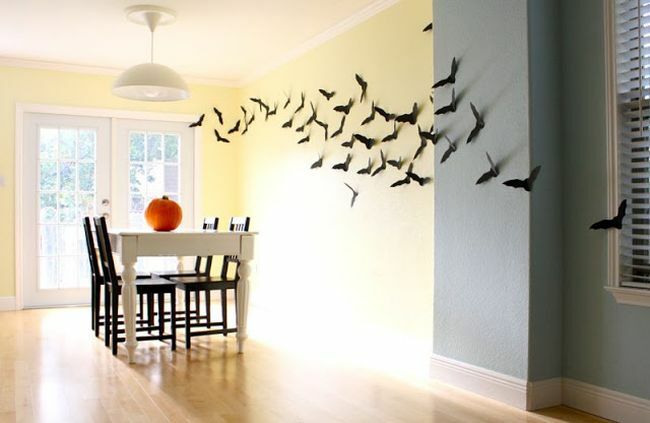 You can create hundreds of little bats that can make their way into the kitchen. 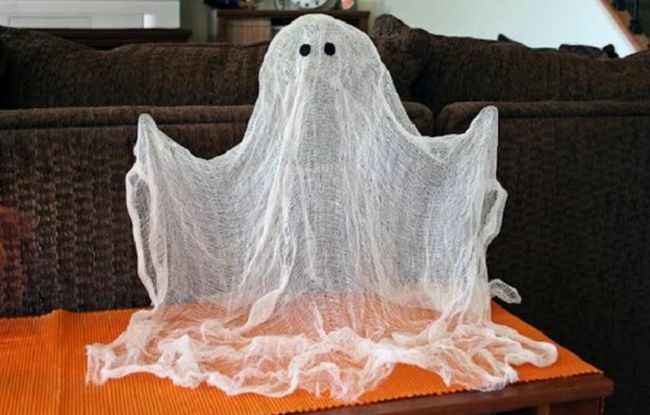 Here is a wonderful floating ghost for Halloween Decorations that is super easy to make. Window silhouettes eerie outdoor Halloween decorations out your front door windows porch, side-walk and yard with eerie Halloween decorations. 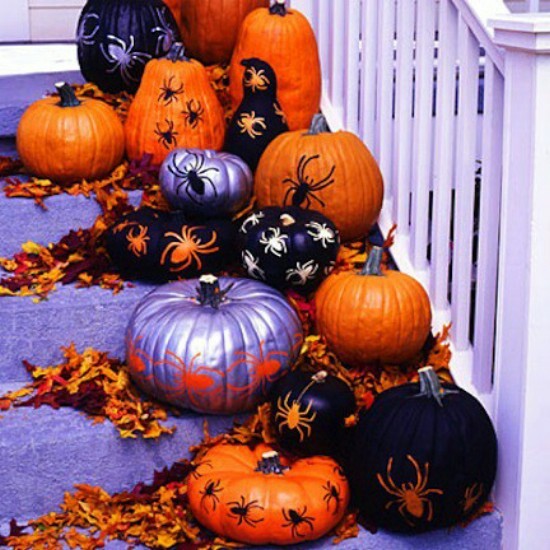 Hope these ideas will help you all in Halloween home decorations. 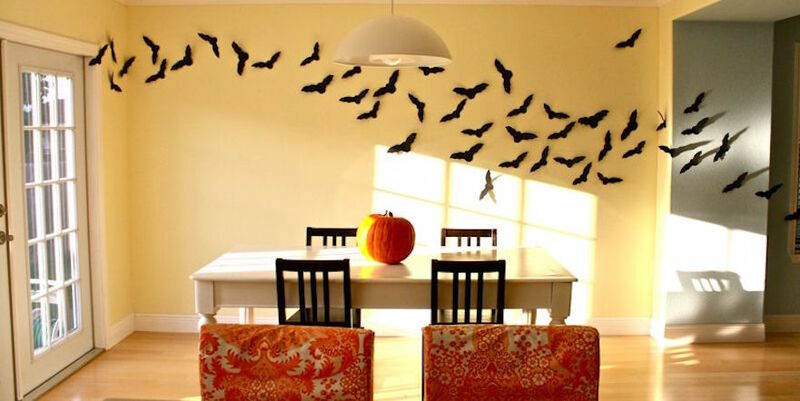 If you have more Halloween home decoration DIys to share with us all, do let us know by dropping in your comments below.